It's a simple fact that Joomla rotating banners grab more attention than static ads. Rotating ads also produce a higher click-through rate. Higher click-through rates result in more ad impressions, and since each rotation on a rotating ad counts as one impression, then each click adds up to more money in your pocket. Rotating ads grab more attention. Each rotation counts as one impression. Ads will rotate without refreshing the page. The option to rotate ads is completely up to you. You can also set the rotation speed for each published ad. 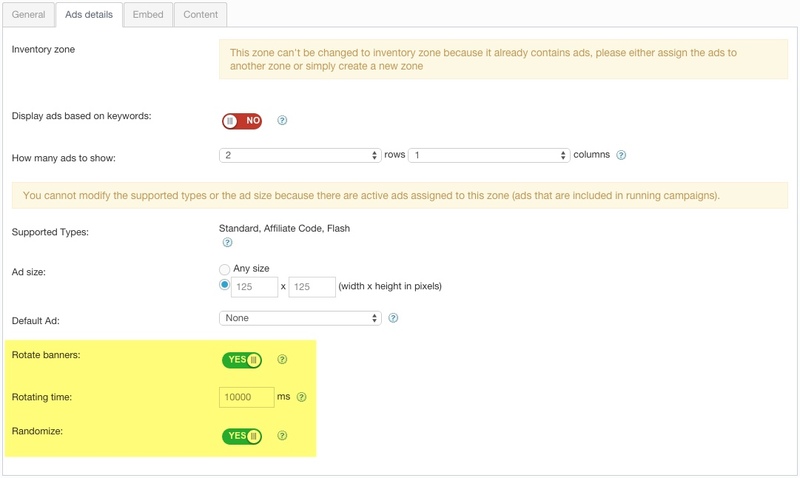 On some servers, using ad rotation can slow down the site because of frequent server calls. Please test the site speed before and after activating this feature. Ad rotation doesn't work when showing the ads with the remote module/embed code.